I have some incredibly exciting news to share with you today. 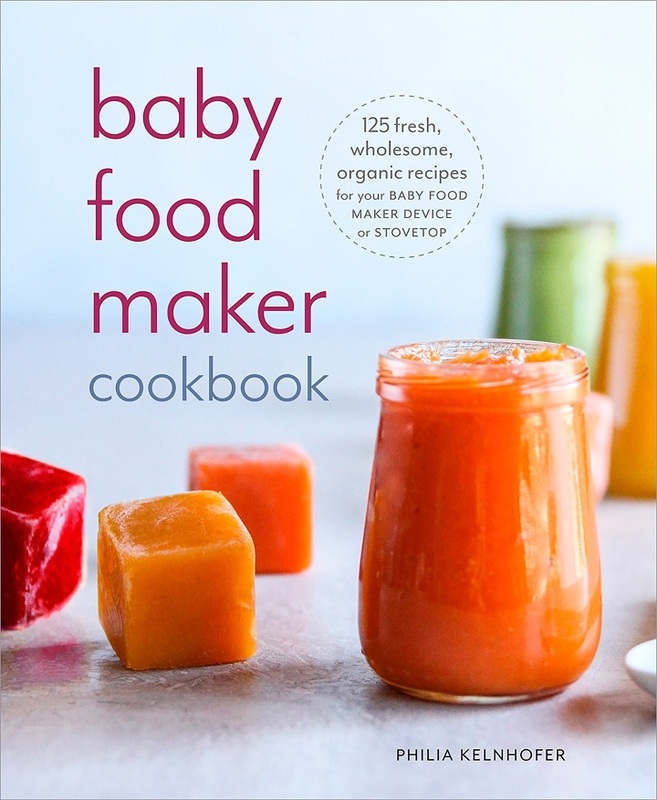 I’m announcing my second cookbook entitled “Baby Food Maker Cookbook: 125 Fresh, Organic, Wholesome Recipes for Your Baby Food Maker Device or Stovetop” which will be coming out April 2019! For the past year, I’ve been working incredibly hard putting together this beautiful book, and I could not be happier to share it with you! When I first started feeding solid food to Ben, I soon realized that making baby food was a little more challenging than I though. I’ll spare you the full story about the first time I *tried* to make sweet potato puree, but basically it ended up taking over 2 hours and then went bad a few days later (that kind of time commitment is definitely not feasible or sustainable as a working mom). So I thought that was it for making him his food, I’d just buy him store bought food. Wellll….that didn’t quite go as planned. He had a sensitivity to citric acid (a perfectly safe preservative used in store bought baby food) and any time he would take a bite of store bought baby food, he’d break out in a rash all over his tummy and chest, it was awful. Then I found out about a device called a Baby Food Maker, it’s a device that steams and processes food, all in one. It was life changing! Literally! I was able to make Ben’s food in 30 minutes or less, with so little hands on time. The only problem is that there wasn’t a cookbook on the market for how using a baby food maker to make baby food! This book was such a huge project and something I am so proud of. Words fail me, almost. I’m so proud of the photography for this book. I was chosen as the photographer (it was a separate part of the contract, there was a publishing contract and a photography component) and I had to submit photos and was ultimately chosen to photograph this book – that is something I am doubly proud of. It took so much work but oh my gosh, I cannot wait for you to see it!! I even did a photoshoot with different babies, something I think really made the book even more beautiful (thank you to all the mamas and parents who participated!) GAH, I’m so excited, and I hope you love the book as much as I do. Preorders are such a huge component of a cookbook (and helping it with the algorithm gods to it appears in searches, etc.) that if you are considering purchasing a copy, I would LOVE LOVE LOVE and be so appreciative if you preordered it. There will be many goodies coming for preorders and beyond. Thank you for all your support!! Yay yay yay!!! So incredibly proud of you and this labor of love ♥️. The photography is absolutely drool worthy and gorgeous and I love that the book is you through and through. So happy for you friend!!! Thank you thank you thank you!!! Your kind words and encouragement are always so very appreciated!! Congratulations on your new cookbook. How exciting!!!! Thank you so much, really appreciate your kind words and support!! Thank you SO MUCH for all your support Rachael, truly means the world!! I’m intrigued about this baby food maker! My kids are 12 and 9 -back in the day I bought store bought and the few times I tried making food, it wasn’t so great and honestly I was too exhausted to cook. But a baby food maker sounds like a game changer!!! It’s too late for me so I pre-ordered a copy to give my cousin! Thank you so much for pre-ordering a copy, means the world to me! And YES, a baby food maker has been a total game changer for me. 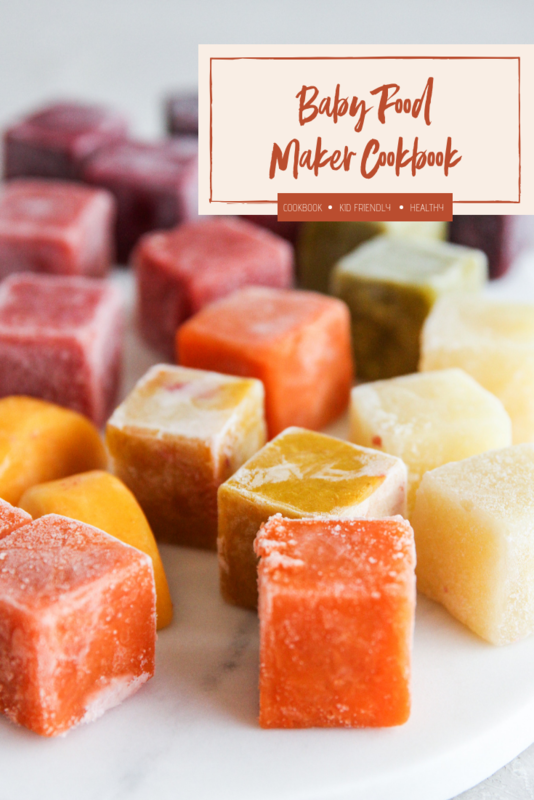 Without it, I would definitely not be able to make homemade baby food!! That is so awesome. I’m so proud of you. I made my daughter and sons food also. I had to get real creative. It was alabor of love for them in the 79’s. Oh my goodness, thank you so much for your kind words – and so neat to hear how you made food for your kids!! Congratulations, Phi! You are a marvel! Awwww thank you so much Ker, really appreciate your support always! !